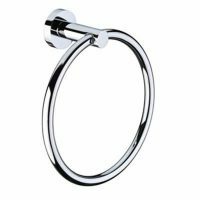 Accessorise your bathroom or ensuite with the gorgeous Square Towel Ring. 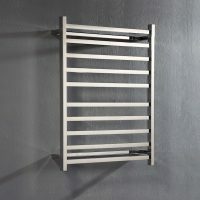 This popular bathroom accessory features a unique, minimalist design that will complement any contemporary bathroom décor, tapware and other bathroom accessories. 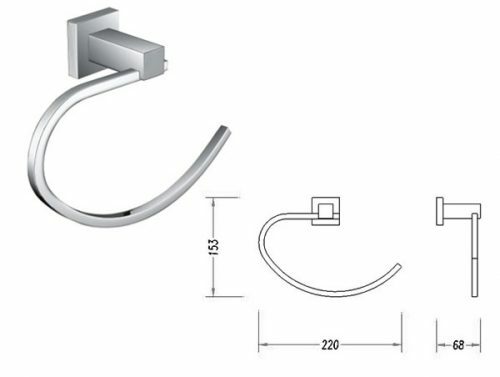 The Square Towel Ring is available in a polished chrome finish and features premium quality brass construction. It weighs 0.1kg and offers plenty of space to house even the fluffiest of towels. 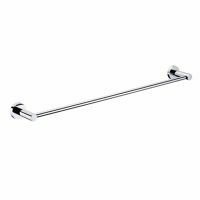 This towel ring is ideal when fitted near baths, showers and basins and it offers easy reach of bath towels. It is designed for simple and straightforward installation in any bathroom. Moreover, it includes concealed fastening, allowing neat and tidy installation. This towel rail comes with fixing screws and a fixing plate. An Australian manufactured product, it features superior grade of workmanship. Sturdy and highly durable, the Square Towel Ring is built to stand the test of time. It will still look great even after many years of usage. To add a finishing touch to your bathroom and to transform it into a practical space, choose the Square Towel Ring. Purchase this popular bathroom accessory at an incredibly reasonable price at our online store and avail of free delivery anywhere in Perth Metro!